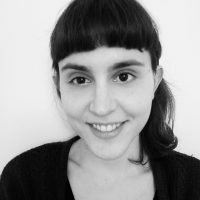 Lucia is a Ph.D. student in the Media and Arts Technology Programme at QMUL. Her current research focuses on how to engage art lovers with artworks beyond the context of the museum visit and through the use of personal interactive systems. Her interests include how to capture users' requirements, how to design meaningful experiences and how to measure engagement. Lucia holds an MSc in Media Design and Engineering. Parallel to her Ph.D. studies she has worked as design researcher on projects exploring cross-cultural design, and design for young people with Aspergers' syndrome.